Here’s your place for Enrichment Sign Up! 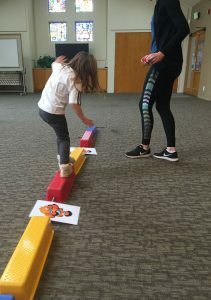 The Amazing Athletes year-round program is specifically designed to enhance your child’s learning experience through movement. Your child will learn the basic fundamentals and mechanics of 9 different sports while also building self-confidence, practicing teamwork, and improving 7 key areas of motor development. Class meets on Thursdays at 12:30 pm for 30 minutes starting September 14th. To sign up fill out the enrollment form on the last page of the brochure below and return to the Preschool Office.